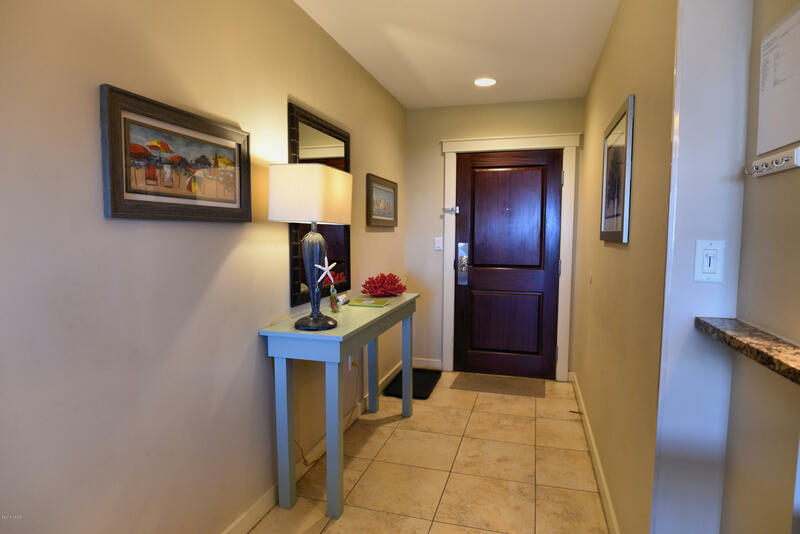 Lock-Off Opportunity // Spacious condos with adjoining doors: #921 is a 1-Bed Corner Unit, full kitchen, bath, balcony with coastline view. #919 is open concept Studio with kitchenette, full bath, balcony. Good ceiling height, attractive furnishings, nice floors. Ready to rent! North facing which is currently an undeveloped wooded area. A West Indies inspired project with upscale design features like motor court entrance and hotel-like interior corridors. Amenities: Terrace Pool, Hot Tub, Lounge Area, Fitness Center, BBQ & Outdoor Dining, Sunrise & Sunset Observation Decks, Game Room, Movie Theater, Laundry. Just across from the beach, walkable to famous Sharky's Restaurant, Gulf World Marine Park, Diego's Burritos. Grab Starbucks, breakfast or lunch at Saltwater Marketplace. Call today!